Some people are simply born with thin lips. Others are bothered by uneven, assymetrical lips, or lips that are out of proportion to the rest of the face. You can try to correct these issues with lip liners, lipsticks, and other makeup tricks, but that doesn’t last. If you want full, even, voluptuous lips for the long term, lip injections may be the answer. Lip injections are exactly what they sound like. A filler, whether it’s a commercial solution or your own fat taken from another area of your body, is injected into your lips to even them out, plump them up, and give you the lips you’ve always wanted. Lip augmentation is a cosmetic procedure that can give you fuller, plumper lips. These days, an injectable dermal filler is the most commonly used method of lip augmentation. There are many types of dermal fillers that can be injected in your lips and around your mouth. But the most common fillers today are products that contain substances similar to hyaluronic acid. Hyaluronic acid is a natural substance found in the body. It helps increase volume in your lips. These types of dermal fillers are sometimes called “hyaluronic acid fillers”. Injectable lip augmentation techniques can be performed quickly with little to no downtime. Fat injection is the exception, since the procedure requires a small area of liposuction to remove the fat from another part of your body before the injection can take place. After carefully marking the areas to be injected, very fine needles are used to inject the substance into your lips. Following injection, ice may be given to ease discomfort and control swelling. But no firm pressure should be put on the treatment area. Lipstick or other lip products are best avoided immediately after the procedure. You should be able to notice a difference immediately. After you have healed, your lips should feel natural. 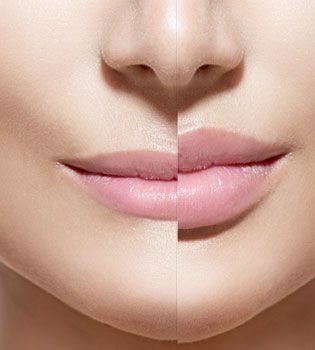 Dermal fillers help restore a youthful, plump appearance to lips by mimicking the fullness that the body’s natural collagen and elastin produce. The fillers are made of hyaluronic acid, a natural substance found in skin, muscles, tendons, and other tissues of the body. 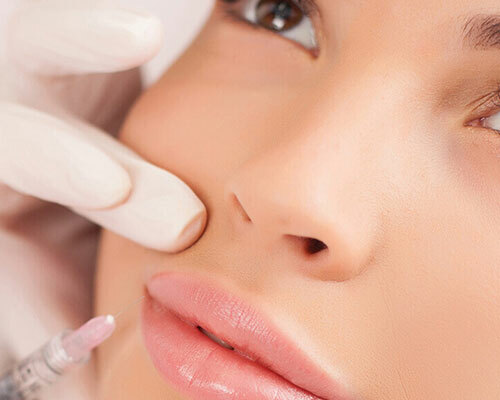 Regular follow-up injections will keep your lips plump, smooth, and looking young. Very fine needles and/or cannulae (blunt tipped needles) are used to inject fillers: This provides minimal trauma to the tissues of the face. As such, dermal fillers do not require any down time from your life! You will be asked to avoid exercise, alcohol, or excessive heat or sun exposure the day of your treatment. You will also be instructed not to massage or rub your face for the day as your body will need to recover in the hours after being augmented. Lip enhancement treatment is quick, typically taking about 30 minutes. Prior to your treatment, a consultation will be scheduled at our clinic. You will be asked questions about your medical history, current medications, and any other relevant medical information. Results are typically seen immediately and maximal benefits should be apparent by one week. Follow-up treatments can be undertaken for touch-ups and if you wish to have further lip enhancement, but this is not commonly necessary. Lip augmentation treatments can be expected to last 9 to 18 months, with follow up recommended at one year. However, every patient’s results depend on their metabolism, activity level, lifestyle, and the amount of product injected. Some patients experience minor swelling, itching, slight pain or redness at the treatment site. These effects are short-lived and most people return to their daily activities without any downtime! Who should not have Lip Augmentation? Lip augmentation should not be done to pregnant or lactating women, as well as people who have had a previous allergic reaction to the drug or any of its ingredients. Anyone with a serious systemic disease, or on blood thinners, will need to consult with the doctor to determine their ability to undergo treatment. Can people tell I have had Lip Augmentation? The treatment lets every patient look like a refreshed, more youthful version of themselves, without people being able to exactly pinpoint why they look so good. We believe that nothing looks worse than when a patient looks swollen or as if they had an allergic reaction! No. After being injected into the lips, dermal fillers will be broken down by the body over several months. Most people can expect their treatment to last from 6+ months to up to 2+ years. Every person will break down the products over a different amount of time depending on age, metabolism, activity level, the injected area and the amount of product used. What happens to dermal fillers once it is in my body? The products will volumize the areas they are injected into and integrate with the body’s natural collagen and tissues. Over time the body will slowly break down the product naturally. The price is calculated on a “per syringe” basis. This means that each individual will need a specific amount of product to achieve the cosmetic results they are looking for. Therefore, the cost of the treatment varies by each patient depending on the areas, specific product, and amount needed. What are the potential side effects of Lip Augmentation? The vast majority of patients do not experience any side effects. Common and minor side effects include infection, local irritation, minor bruising at the injection sites, and headache. Rare side effects include skin necrosis, embolism, or serious allergic reaction.